Planned improvement work set to benefit over 3,000 additional properties in the area. Burton-upon-Trent residents will have a chance to learn more about the benefits of the Environment Agency’s multi-million pound flood scheme improvement work at a series of drop-in sessions next month. The planned works to the town’s flood defences will see upgrades to the 9km of existing defences that already protect more than 7,000 homes and businesses in the town. The work will also see a further 3,358 properties benefit from increased protection. The work is due to start in early 2019, with a completion date in early 2021 and will enable further transformation of the town centre to allow it to become more sustainable. 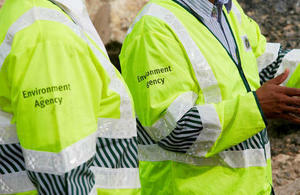 Drop-in sessions are being held at a number of locations across the town where Environment Agency staff will be on hand to discuss the scheme as well as to spread awareness about the need to be more flood resilient. These sessions are a really important means for us to explain our work as well as to listen to residents. We would really like as many people as possible to attend one of our sessions so that they can discuss the exciting plans we have in place for Burton.